Captain Pardeep Narwal earned 16 raid points for Patna Pirates. 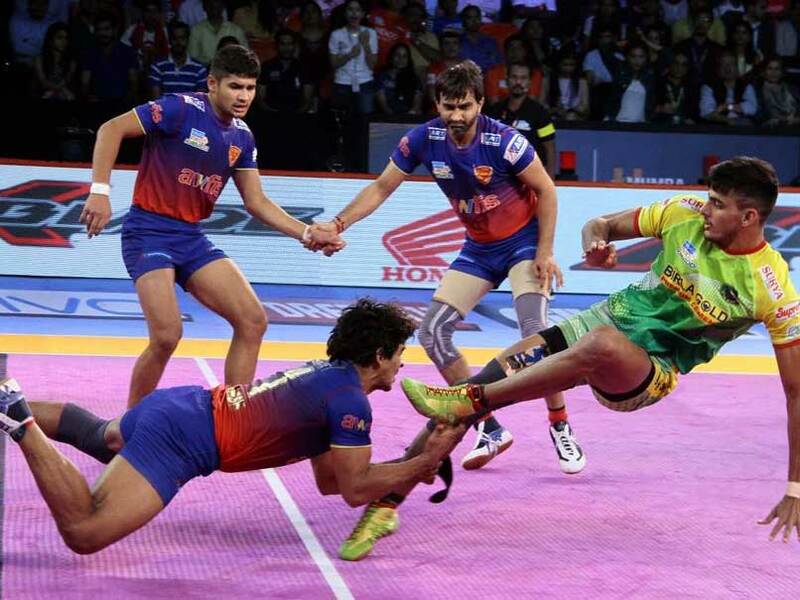 Defending champions Patna Pirates registered their sixth win of the season as captain Pardeep Narwal led from the front with 16 raid points, helping Patna Pirates beat Dabang Delhi 38-35 in an inter-zonal clash of the Pro Kabaddi League (PKL) on Thursday. Apart from Pardeep, teammate Manjeet picked eight points to help Patna Pirates register a victory over Dabang Delhi. On the other hand, Naveen Kumar also had a great game as the raider bagged 15 points but it wasn't enough as Delhi slumped to their fifth loss of the season. 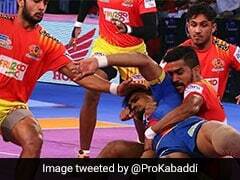 In the other match of the night, U Mumba defeated Tamil Thalaivas 36-22. Darshan Kadian earned six raid points for U Mumba. Earlier in the first match, the first four minutes saw successful raid and tackle attempts by both the sides with the score 3-3 before Naveen's one-point raid and Pardeep's attempt saw Delhi take a 5-3 lead. Patna then saw some terrific effort from both their raiders and defenders as they not only cut the deficit but also took a 12-8 lead by the 11th minute. Two minutes later, the defending champions inflicted an All Out to extend their lead to 16-10. Delhi, however, made a comeback in the final moments, collecting seven points in quick succession to make the issue 18-17 at half-time. Delhi shifted gears in the second half and took a 23-20 lead before Pardeep's super raid tied the issue at 23-23 by the 23rd minute. Naveen and Ranjit's consecutive successful raids and some great tackling attempt helped Delhi again take a 26-23 lead. Naveen completed his super-10 to make the score 23-27. Patna then collected two points in back to back attempts to move to 25 points and Manjeet's another successful raid cut the deficit to one point, making the issue interesting with the score 26-27 by the 30th minute. Delhi then rode Naveen and Ranjit successful attempts to take a 30-26 lead but the game took a u-turn in the last 10 minutes as the former faltered on some occasions, while Pardeep made great raid attempts to once again hand Patna a 37-33 lead before finally clinching the contest 38-35.